Often the most emotional issue that arises in a divorce case is custody of the children. Illinois operates with two types of custody situations, joint custody and sole custody. Most cases are resolved by agreement when the parties can effectively communicate and work together for their children despite the fact that their own relationship is having difficulties. Danelle Wozniak practices in all areas of family law, including pre-nuptial agreements, dissolution of marriage (divorce), dissolution of a civil union, agreed orders, post-nuptial agreements, mediation, annulments (declarations of invalidity); alimony (maintenance); grounds (irreconcilable differences, mental cruelty, adultery, habitual drunkenness, abandonment, et cetera); restricted and supervised visitation; orders of protection and Illinois Domestic Violence Orders; Orders for Withholding and garnishments; arrearages; paternity, dissolution of marriage (divorce); college expenses (post-secondary educational expenses), child custody (including all aspects such as settlement, joint custody, joint parenting agreements, guardian ad litem, psychologists, in camera interview, pre-trial and trial). More information regarding child support & visitation can be found here. Contact Attorney Danelle Wozniak to request additional information regarding your legal rights during separation matters. 1. Attorney Danelle Wozniak has a reputation for caring. 2. A parent herself, she understands the parent-child relationship. 3. Danelle has over 10-years of experience as a Guardian ad Litem with litigation experience which gives her an excellent insight into custody/parental allocation disputes. 4. She maintains fair and honest attorney billing practices that are straight forward with no hidden fees or surcharges. 5. Well respected among her colleagues and the local court system with 12 years of experience in family law, criminal defense, and civil litigation. 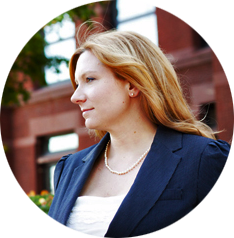 Whether you are facing marriage difficulties or have found yourself in the position of a defendant in our court system, Danelle can help sort out the facts and present favorable options. The legal term for a “Divorce” in the State of Illinois is “Dissolution of Marriage.” Whether you are contemplating this step or the legal process has already begun, you may have questions and concerns about your rights. Paternity is the legal establishment of a relationship between a father and a child. Paternity cases deal with children that are born out of wedlock and establish the father and child relationship.